Ο Δασόκηπος με έδρα την ορεινή Χαλκιδική δραστηριοποιείται γύρω από τη μεταποίηση και το εμπόριο τρούφας και άγριων μανιταριών. Dasokipos, situated at upland Chalkidiki, processes and deals in truffle and wild mushrooms. The company has been dealing in truffles for a long time, even since 2002. In cooperation with the Natural Agriculture Research Foundation (NAGREF) we identify truffle varieties in Greece. Since 2007 we have been focusing on the trade of Greek truffles and since 2010 Dasokipos is the first company to work on the processing of truffle in Greece. From 2008 to 2010, the company also managed “o Αμανίτης στο Δασόκηπο” (Amanite in the Forestgarden), a restaurant on the theme of truffles and wild mushrooms. The first Greek Truffle Festival (July 2008) took place there, continued by various events and seminars that included outings on the mountain to collect truffles and wild mushrooms and presentations on their culinary use from our restaurant’s consultant-chef, mr. Panagiotis Ioannidis. 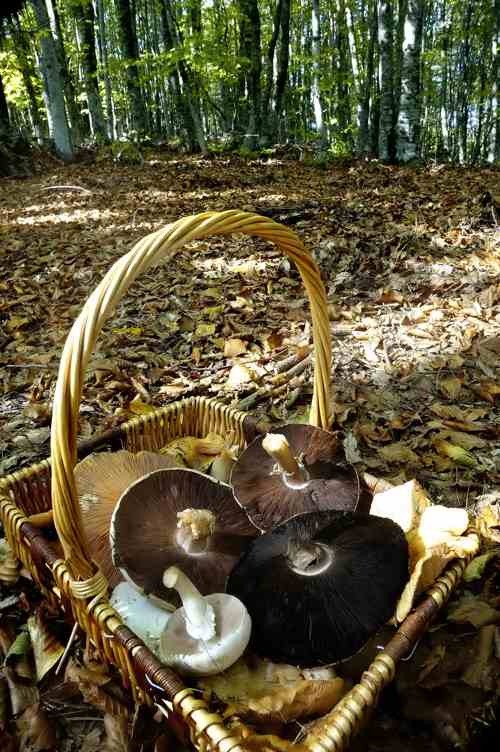 Our processing plant is situated at the area of production of truffles and wild mushrooms, in the heart of a bleech and oak forest, on the second highest summit of mt. Cholomontas, between the two quaint villages of Arnaia and Taxiarchis. The electrical energy of our unit is provided by an autonomous photovoltaic system and the irrigation comes from our own borehole.